Award-winning original fiction for learners of English. At seven levels, from Starter to Advanced, this impressive selection of carefully graded readers offers exciting reading for every student's capabilities. It is 2051. 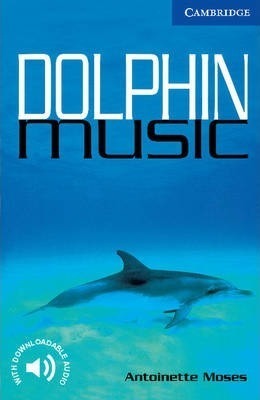 CONTROL, the government of Europe, keeps everyone happy in a virtual reality where music made by dolphins gives exquisite pleasure. When Saul Grant, a writer, discovers the truth about the music, the illusion is shattered. He soon sets out to free the dolphins but CONTROL is aware of his actions and will stop him at any cost. Paperback-only version. Also available with Audio CDs including complete text recordings from the book. 1. Life was good; 2. PACE; 3. Cello suite; 4. BEATCON; 5. This is crazy! ; 6. Escape; 7. Inside the blue helicopter; 8. I never wanted to be a terrorist; 9. Wolves; 10. Out of control; 11. Find Saul Grant; 12. Night train to France; 13. Waiting; 14. At the Neumatt Arts Centre; 15. Rest period; 16. Questions for Caroline; 17. Get the dolphins out; 18. On the train; 19. Surprise for Captain Marrs; 20. Caroline alone; 21. Dolphin sunset.